This article was originally published in the Good News of South Florida. “While we were packing to head to South Sudan to serve those in need, a 7.8 earthquake struck Ecuador on April 16, 2016,” said Mark Mosely of Pompano Beach, FL, based Cross International where Mosely is director of Gifts in Kind (GIK). Mosely also serves as Co-chair for the Global Relief Alliance. While he was launching a project to respond to a man-made humanitarian crisis, a natural catastrophe resulting in human tragedy struck. Mosely juggled the management of GIK relief responses to two different disasters while in transit to and on the ground in war-torn South Sudan, the world’s youngest country. Gifts in Kind (GIK) donations are goods and services given as charitable donations rather than cash. It is argued that GIK giving provides market efficiency that cash donations can’t provide. For example, donated drugs help a charitable organization operate at a much lower cost than it would if it had to use man-power and cash to acquire medicines needed for relief operations. The donation of goods already at hand, especially during times of disaster relief, go much further than using donated cash to purchase the same goods at market prices. GIK are a significant, strategic component for organizations that have a long-term development aid approach as Cross International does. Sudan is a country with a long history of war in the latter half of the 20th century, spilling into the twenty-first century. 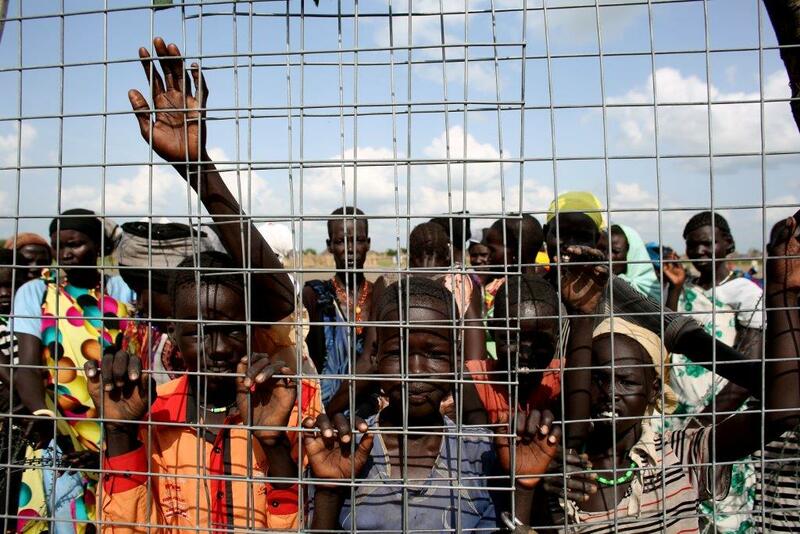 Conflict is ongoing today in regions of both Sudan and newly formed South Sudan. The first Sudanese Civil War began in 1955 when the predominantly Christian and animist southern tribes demanded more representation in the Muslim dominated government in the north. The south also wanted regional autonomy and shared control of profits pumped out of the oil-rich southern regions. The conflict ended in 1972 with a peace treaty that proved too weak and one-sided to satisfy the south. In 1983, a second civil war started. Many geo-political analysts say that it is the same civil war separated by an eleven-year cease fire. In the First Sudanese Civil War that lasted 17 years, a half-million people lost their lives. In the Second Sudanese Civil War, the ugly consequences of the conflict were two million deaths blamed on war, disease, or famine, and four million homeless, displaced souls. The second civil war ended in 2005 in victory for the south resulting in a comprehensive peace agreement including South Sudanese freedom to vote for their own independent country in what is known as the 2011 referendum. In 2012, fresh but brief conflict broke out between Sudan and South Sudan over management of oil regions. Since then, strife has not ceased. Ongoing conflict in Darfur in Sudan’s western regions continues. The United Nations has accused pro-government Arab militias of ethnic cleansing campaigns against non-Arabs. Skirmishes have spilled over the border into neighboring Chad causing instability along that international boundary as well. On December 15, 2013, a new conflict ignited over newly drawn international boundaries between North and South. Internally, in South Sudan, disputes over how oil revenues are shared has enflamed civil struggle that continues today ranking South Sudan number one on the Fragile States Index in 2014 and 2015, a list maintained by U.S. based think tank Fund for Peace. The reality on the ground in South Sudan after decades of war is inadequate roads and lack of infrastructure. Basic supplies and medicines for relief efforts are difficult to acquire. A South Sudanese regional public health chief inspected the contents of a basic International Emergency Health Kit (IEHK) and was visibly moved with emotion when he met Mosely and his team at one of their stops on their tour. The chief hadn’t seen medicine in months. Several international non-governmental organizations (NGOs) had pulled out of South Sudan with the onset of civil strife leaving the region without medical supplies for an extended period of time. Last year Cross International provided about $100 million in aid in 22 countries. Their goal is to transform the lives of the poor both spiritually and materially. To learn more about what Cross International does and how you can connect with their mission, visit them at crossinternational.org.